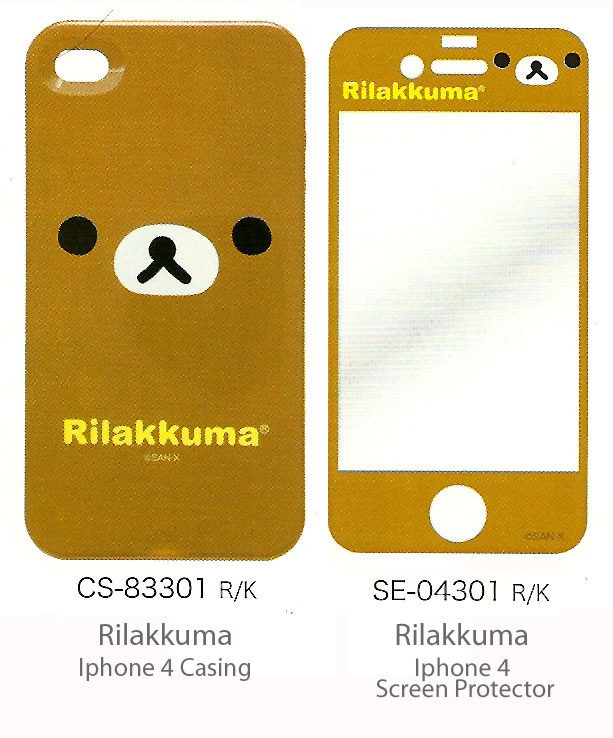 Rilakkuma Shop: Re-opening Preorder for Iphone 4 Case & Screen Protector. 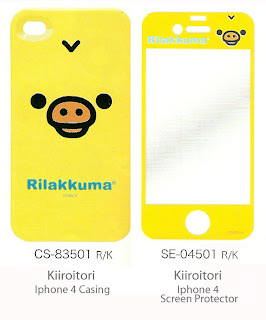 Re-opening Preorder for Iphone 4 Case & Screen Protector. 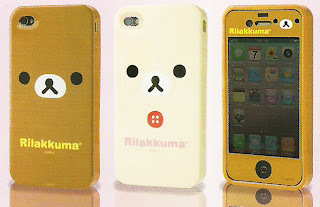 Rilakkuma Iphone 4 Case and Screen Protector! 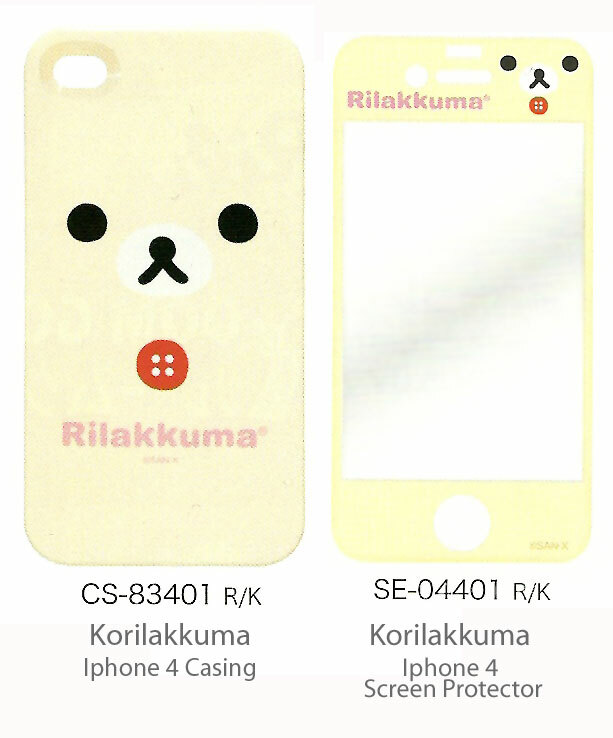 Comes in the 5 designs! Rilakkuma Shop is re-opening up Iphone 4 Preorders! 1. Send your enquiries/orders to <sales.rilakkuma@gmail.com> and follow the order format given. 2. Please pay the FULL amount, and send us the order and payment details in ONE email. 8. Rilakkuma Shop will not be responsible for any lost mails as we are using registered mailing only. 9. Refunds for out of stock items will be made only after all items arrive. 12. Please follow the order format below and double-check before posting. We will not be responsible for the items that you have ordered wrongly as we will be following the order based on the information provided. hi may i know what the material of this casing is? 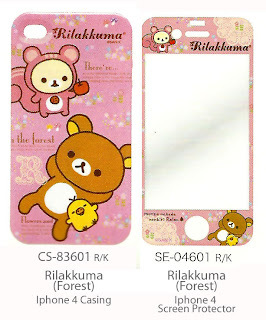 It's a soft cover. Not too sure what material it is though. i placed my order with the first pre-order, may i know when will i be able to receive my iphone cover? 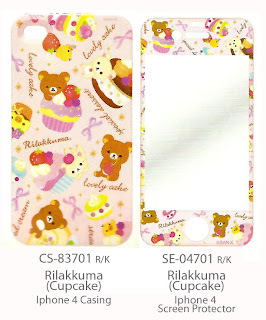 The first pre-order which we opened in Oct, the orders are consolidated and sent to San-X in Nov. So.. as mentioned the arrival time is estimated at 1 - 3 months. Which means Dec - Feb 2011. For this 2nd batch, it would mean Jan - March 2011.